Jennifer Gaydosh has spent the past seven years working with heart patients as a registered nurse. When Gaydosh suffered her own heart attack last year at the age of 47, she did what so many other women do: she ignored the symptoms. 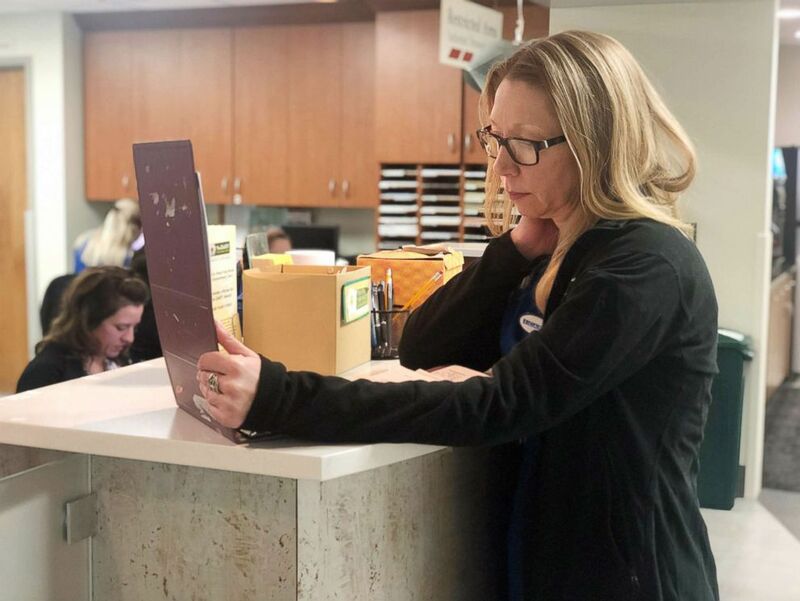 Jennifer Gaydosh talks to a colleague while working as a cardiovascular registered nurse at Rose Medical Center in Denver. Gaydosh, now 48, is a cardiovascular registered nurse at HCA Healthcare’s Rose Medical Center in Denver, Colorado. She had her first symptom scare when she was awoken in the middle of the night with a burning pain in her arm. She said she was also nauseous, sweaty and pale. She went to the emergency room, underwent tests and was discharged the next day with specific instructions to return if she felt any more symptoms. Jennifer Gaydosh, 48, is a cardiovascular registered nurse at Rose Medical Center in Denver. Gaydosh was again awoken by pain two days later but went to work instead of the emergency room. Jennifer Gaydosh, 48, works as a cardiovascular registered nurse at Rose Medical Center in Denver. Gaydosh, who had no risk factors, suffered a spontaneous coronary artery dissection, or SCAD, a condition that occurs when a tear forms in a blood vessel in the heart. The type of heart attack Gaydosh suffered is one that has no known cause and usually strikes women who are otherwise healthy. It is also shown in studies to occur more often in women who are postpartum and women who are "experiencing or close to a menstrual cycle," according to the American Heart Association (AHA). 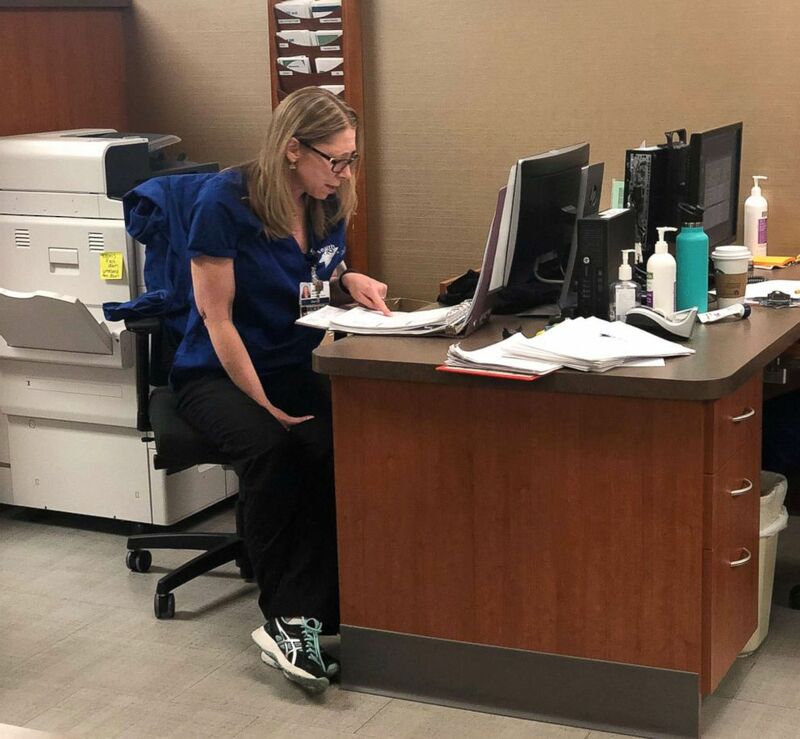 Jennifer Gaydosh, seated, speaks with colleagues while at work as a cardiovascular registered nurse at Rose Medical Center in Denver. 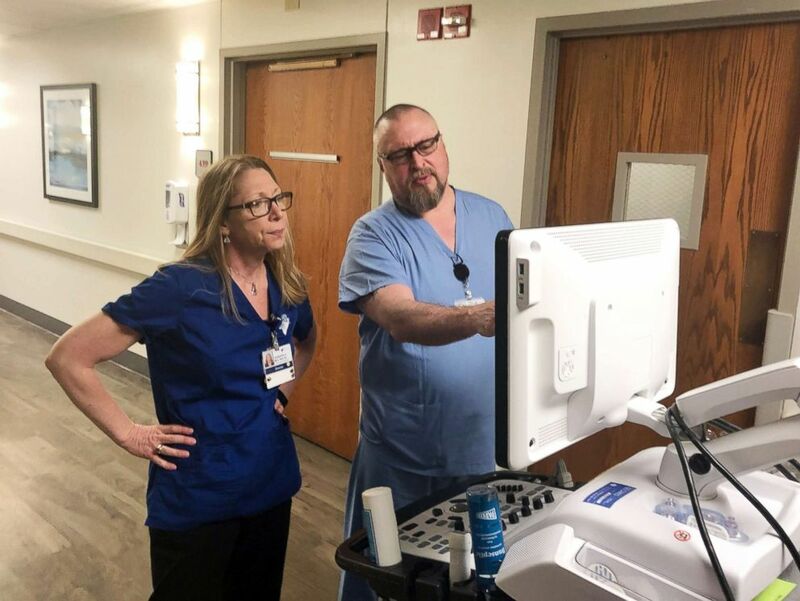 February is American Heart Month and Gaydosh — who recovered from her heart attack and continues on heart-related medication — has made it her mission to inform women about the symptoms of heart attacks that they shouldn't ignore. "Don’t ever tell yourself you can’t have a heart attack because anyone can," she said. "Don’t ignore your symptoms. Women, in particular, are worried about looking foolish or making a big deal or thinking, 'I have to go to work and I have to take care of everything.'" "Ultimately you have to take care of yourself first," she said. "Go get [your symptoms] checked out rather than ignore them." 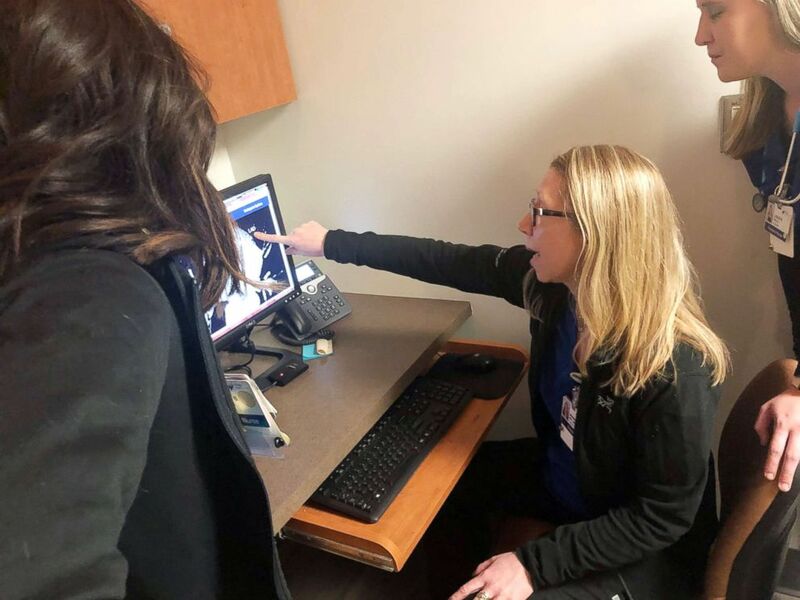 Gaydosh's cardiologist, Dr. Vijay Subbarao, an invasive cardiologist at HCA Healthcare’s Rose Medical Center, shared a statistic that he hopes helps women see the dangers of ignoring heart symptoms. "The mortality of women if you combine all cancers is lower than [it is] with heart disease," he said. "It is the number one killer of women." 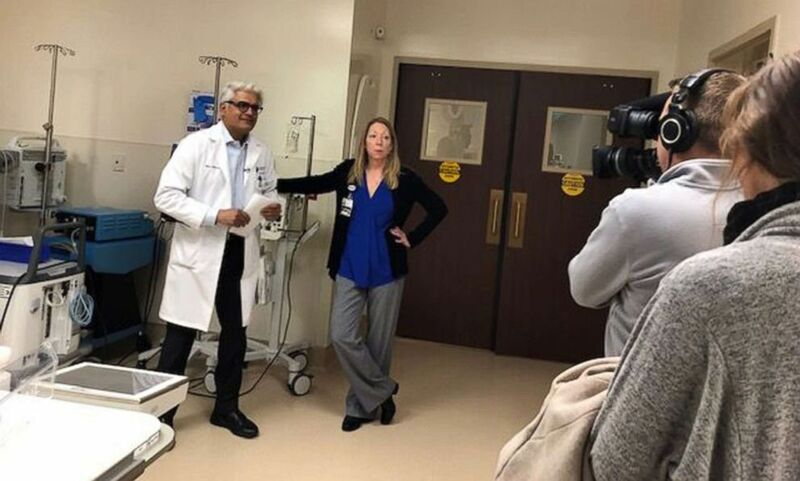 Jennifer Gaydosh poses with her cardiologist, Dr. Vijay Subbarao, at Rose Medical Center in Denver. Just 54 percent of women recognize that heart disease is their number one killer, according to the U.S. Centers for Disease Control and Prevention. More than 60 percent of women who die suddenly of coronary heart disease had no previous symptoms. Subbarao shared his top five tips for women to prevent heart disease. Here they are, in his own words. 1. Know your numbers: Know your blood pressure, cholesterol, your [body mass index] and whether you are putting in around 200 minutes of exercise per week. Get those statistics that can be done at an annual physical. 2. Set a benchmark: If you do something on a regular basis, like, "I can walk around this park in 15 minutes" — that’s good to know because if you cannot do that for some reason, like back pain or arm pain or fatigue or shortness of breath, then that is your warning sign. If you’re sitting, watching TV and you get the discomfort, that means the [heart] blockage is already there. Even if you see a doctor six months or annually, you are with yourself the rest of the time so you need to have benchmarks for yourself. 3. Ask your doctor questions: Women should come in and say, "I want to know what my risk of heart disease is." That is the first question women should ask and one a doctor can easily answer. You need to ask the whys and the hows and the ifs when you come into a physician’s office. 4. Know your family history: If you have a family history of early vascular disease — heart issues, stroke, etc. — that should raise your awareness immediately to say, "I need to check my vascular system." 5. Know the symptoms: Most people with SCAD present with chest pain. If a 30-year-old has significant chest pain, she should not ignore that or say, "I’m too young to have a heart problem." Usually, the pain does not get worse or change with a deep breath or a posture change but is unrelenting. If you’re busy and it comes on and you stop the activity and it goes away and you do the same activity again and it comes back, that’s a fairly classic [symptom] of a heart attack. The American Heart Association also has heart attack symptoms for women. View them here. Cardiac nurse didn't realize she was having a heart attack. What women should know.